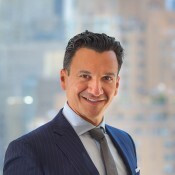 Michael Samuelian is the President and CEO of the Trust for Governors Island, the not-for-profit organization created by the City of New York and charged with the planning, redevelopment, and ongoing operations of 150 acres of Governors Island. He received a Master of Architecture in Urban Design from Harvard University and a Bachelor of Architecture degree from Cooper Union. Michael is also an Assistant Professor at Cooper Union, where he teaches a course titled “Professional Practice” in the School of Architecture. Michael is a Fellow of the AIA, a registered architect in New York State and a member of the New York State Board for Architecture. He has served on the Board of Governors of Open House New York (OHNY) and the Friends of Governors Island. He was honored in 2018 with the John Q. Hedjuk Alumni Award in 2018 and inducted into the Cooper Union Alumni Hall of Fame. View Michael Samuelian's CV here. 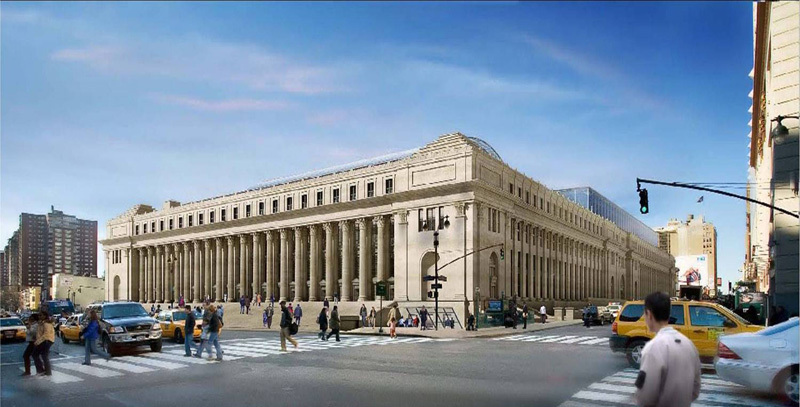 The Moynihan Station Project will transform the 1.4 million sf Farley post office building in Midtown Manhattan into a new Intermodal Transportation Hub. The Farley building, a landmark McKim, Meade and White building (ca. 1910-1913) will house a new 400,000sf commuter rail facility complimented with a mixed-use development which includes over 700,000sf of new retail space and a 250-room hotel. The USPS will continue to operate the historic stamp hall in the front of the building, and also occupy about 250,000sf of mail handing space. Designed by David Childs of SOM a grand new train hall – more than 1 acre of new public space – will be the center of this project. 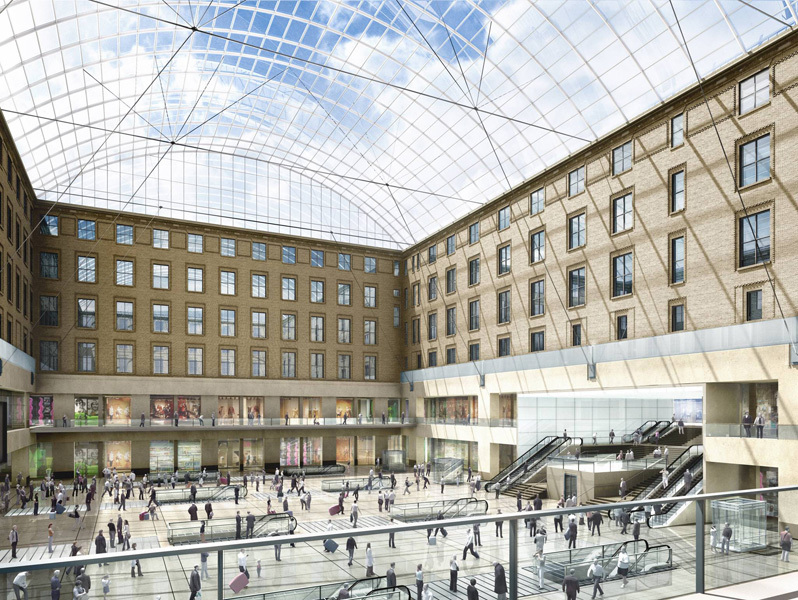 The train hall will occupy the historic courtyard of the Farley Building; it will be enclosed by an arched glass and steel roof, echoing the original Penn station. For the first time in 40 years, passengers arriving in New York City will be greeted by natural light, which will flood this new public room, which is destined to become one of New York’s Great Public Spaces. 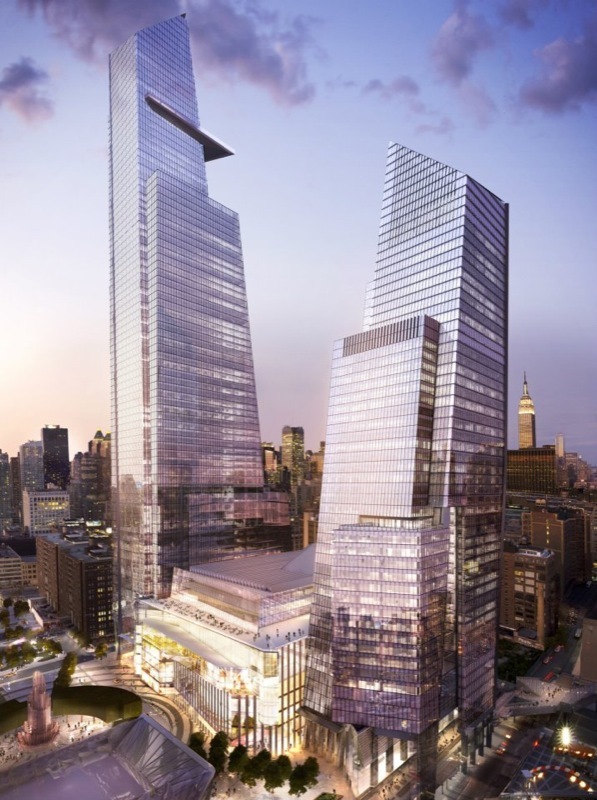 With transportation improvements designed to handle over 100,000 passengers a day, Moynihan Station is a critical component of the City’s plan to redevelop the west side of Manhattan. 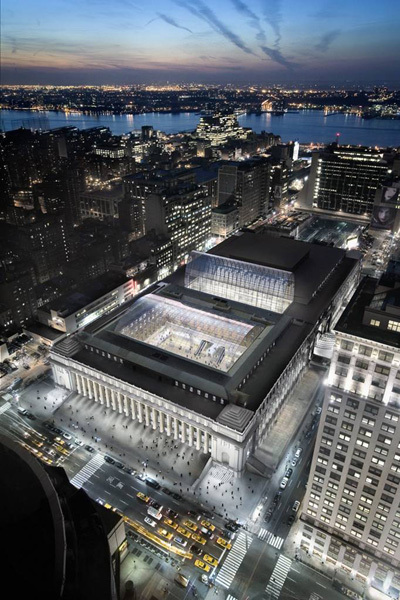 New access to the existing Penn Station platforms will finally connect directly to the Train Hall, which – unlike the current Penn Station – is located at street level. West of the new train hall a new Intermodal Hall will connect rail passengers to mid-block entrances at 31st and 33rd street and to a new remote airport baggage drop-off. 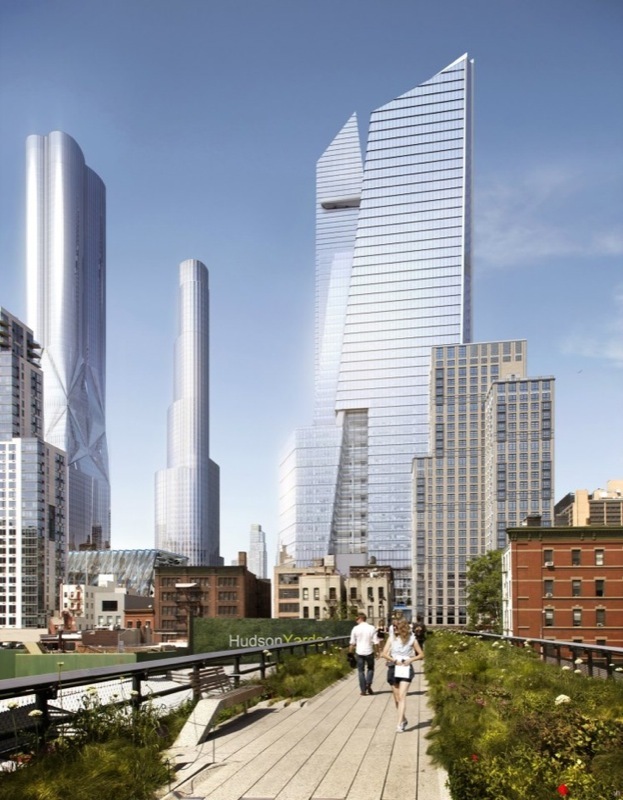 A re-established 32nd Street pedestrian connector – surrounded by 4 levels of new retail space – will link the activity of the Train Hall to Ninth Avenue and the rest of Hudson Yards. 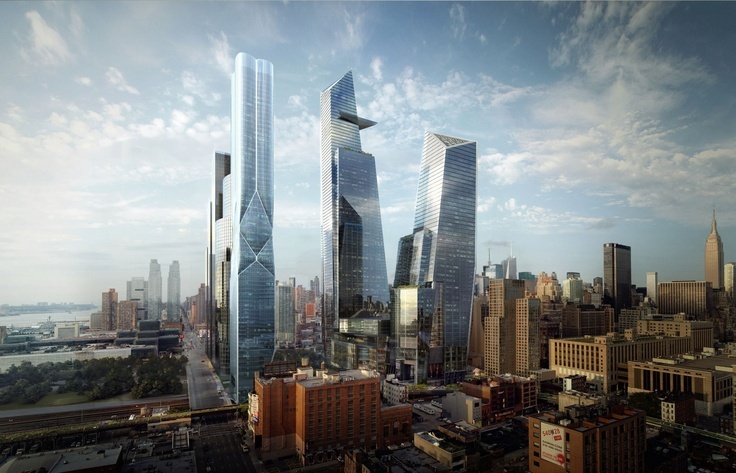 The Hudson Yards is the largest undeveloped single piece of property in Manhattan. 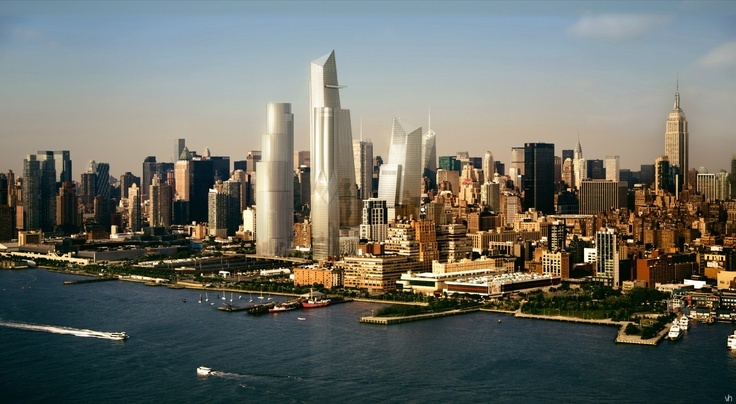 Now zoned to accommodate 12 million square feet, the Hudson Yards will include new cultural facilities, a new public school and over 10 acres of new public open space. With the High Line to the south, Hudson Park and Boulevard to the north and Hudson River Park to the west, the Yards will also be the fulcrum of a major new open space network on the west side of Manhattan, bringing millions of visitors a year to what is destined to become New York’s next great neighborhood.